Here’s the latest sales data reports from Media Create and Dengeki! Today, Media Create shared their weekly report on video games sales in Japan. It reveals that Software sales topped 512 000 units, which is 42.36% of Week 4 sales. That massive drop is due to the release Kingdom Hearts III and Resident Evil 2 the previous week. But not only was the Week 2 drop inevitable for those two games, new releases also didn’t set the charts on fire, so it’s no wonder total Software sales fell by over 50%. 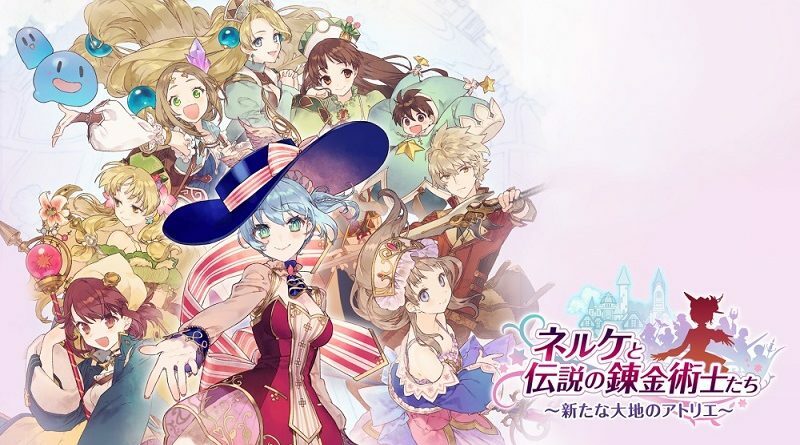 The main release of the week is Nelke & the Legendary Alchemists: Ateliers of the New World, which sold about 31 000 units across all platforms it was released on (Nintendo Switch, PS4, and PS Vita). It’s pretty similar to the launch week sales of Atelier Lydie and Suelle: The Alchemists and the Mysterious Paintings (about 35 000 units across all 3 platforms), though the PS Vita version saw the biggest drop in sales. Sell-through for Nelke & the Legendary Alchemists: Ateliers of the New World is under 70% for all platforms, without a big difference between them. Unfortunately, no data this week! The sell-through for all three versions is 60% (on average). Not much movement in the Top 50 this week. New Super Mario Bros. U Deluxe sold about 46 000 additional units (bringing the total to 379 000 units). This week was a rather uneventful week for both Hardware and Software. But something pretty significant happened: for the first time ever, there is not a single Nintendo 3DS in the Top 50. In fact, Media Create also did not have a single game in the Top 20 (but they do have two of them in the Top 50), and the Nintendo 3DS is missing from Famitsu’s Top 30. It’s truly the end of an era for the Japanese video game market! Dengeki explain that it’s very first time since the launch, back in February 2011, that the Nintendo 3DS is completely missing from the Top 50. That’s basically 8 uninterrupted years with Nintendo 3DS charting, and to “celebrate” this, Dengeki shared some market share data for the handheld. The peak was between Fiscal Year 2013 and 2014, when the Nintendo 3DS accounted for nearly half of the market with a 45% market share. Things went downhill after that, with 36.7% market share in Fiscal Year 2015, and 32.2% during Fiscal Year 2016. Finally, the market share dropped to 15.5% during Fiscal Year 2017 (the year the Nintendo Switch was released), and since then, the market has been centered on the latest console from Nintendo. The market share dropped to a measly 2.7% in January. There’s only one Nintendo 3DS games left to be released: Kirby’s Extra Epic Yarn in March (bound to sell really low amounts), so there’s little doubt the market share will drop even lower in the future. As we said just above, it’s truly the end of an era for the Japanese video game market! ← Daily Briefs (Feb. 8, Round 3): Decay of Logos / Umihara Kawase Fresh!